“Seamless” discharge planning happens when a patient is effectively and safely transitioned from the hospital to the home. When seamless care happens, patients, and their caregivers are equipped with resources, confidence, and information they need to recover and avoid potentially avoidable readmissions. When it doesn’t, patients boomerang for reasons such as falls, adverse drug events, worsening conditions, or new conditions that could have been avoided if the patient stayed on the road to recovery. Here are some of the more effective ways to ensure seamless discharge. As Benjamin Franklin famously said, If you fail to plan you are planning to fail. What your team must assess on admission is each patient’s ability to manage activities of daily living after discharge - both clinical and social-related - and manage treatment, medications, and length of stay accordingly. Conducting a standard assessment on all patients, regardless of whether they access the system through the emergency department (ED) or pre-scheduled admissions, goes a long way toward identifying their discharge needs long before the discharge planning process starts. Determine things such as each patient’s transportation needs, the presence or absence of a caregiver at home, ability to afford medications, and whether the patient is fall risk. Traditional, unit-based care coordination and discharge planning discussions create redundancy and communication gaps. Better practice is an integrated team that includes a physician, nurse, transition coordinator (often a social worker), and physical or occupational therapist. This team collaboratively cares for a group of patients - not just patients on a unit - by continuously reviewing and updating the patient’s care trajectory, maintaining communication with patients and families, and identifying barriers to discharge. They bring in additional allied health providers as needed and plan or update the discharge date based on the patient’s condition. Designating an individual as the “air traffic controller” for the patient, family members, care team, and community providers is essential. Having one person responsible is more efficient from a process perspective and much clearer to the patient and family because there is one primary point of content. Such transition coordinators make sure the patient has a follow-up appointment scheduled prior to discharge and typically call or email patients after discharge to ensure they keep their doctor appointments and pick up medications, as well as identify additional needs or risks that could land the patient back in the hospital. Gone are the days of the “routine discharge.” Each discharge must be uniquely designed to the patient, and each patient deserves a customized plan that fits their clinical, social, economic, and cultural needs. In fact, research has shown that an individualized discharge plan, as compared to a routine discharge plan, can successfully reduce readmissions. Provide a written transition plan that can be shared with family and caregivers and that includes care instructions, what to expect in the first few weeks after returning home, how to obtain and take medications properly, potential risks to watch for - along with guidelines about when to contact a physician or the transition coordinator if they escalate - and the names and phone numbers of 24/7 resources. Patients need to feel safe, educated, and ready to go home. That means taking the time to be thorough with information and allow all questions to be answered. A survey revealed that more than 50% of patients with a stay of 5 days or less failed to receive information on side effects, recovery at home, or community health services. Another study found that 81% of patients needing assistance with basic functional needs failed to receive home care referrals. Things like this can happen when discharge is not well coordinated and patients are pushed through too quickly. I recognize that many hospitals are challenged with throughput, but discharge is not the place to be fast. 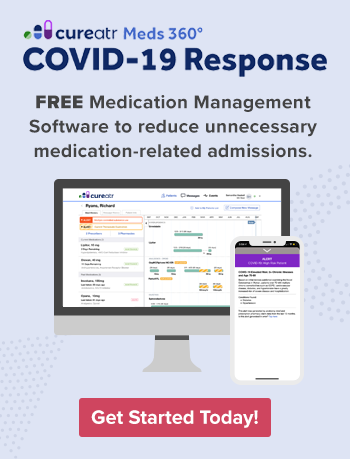 Move too quickly with elderly, polypharmacy, or multi-morbidity patients and you have a major risk of patients being readmitted because they don’t get enough education or information to properly care for themselves at home. Your team must be provided adequate time to explain what is going to happen, educate patients about medications and equipment they need, and provide information about who to call for specific needs. An asthmatic patient of Chinese ancestry was prescribed a course of systemic steroids. The patient returned to the hospital shortly after discharge with a severe asthma attack. When asked about adherence to the discharge plan, the patient reported that he had not taken the systemic steroid and had instead received “cupping” therapy from a practitioner of Chinese medicine. Cupping therapy is a treatment to enhance and improve the immune system. A trained discharge planner with access to the right cultural resources can head this kind of readmission off at the pass. 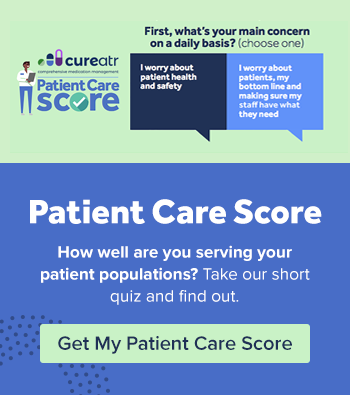 A transition education checklist and a binder of information that addresses common medical culture questions from the top populations your health system treats regularly can be a huge help in making sure patients leave with culturally relevant care instructions.